Galvanic isolation (GND-Lift) of a host PC and a USB device. Delivery without cable, please order separately. The CESYS USB ISOLATOR gives you back peace of mind in harsh environments by protecting your PC and your USB devices. 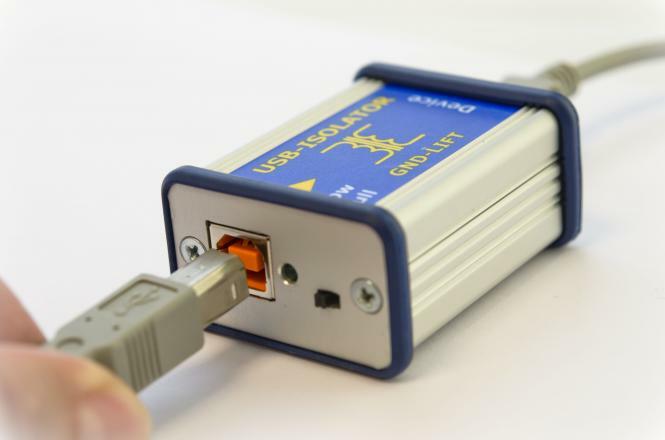 It isolates both sides of an USB connection and protects against surges up to 8.000 volt. In audio applications, this approach is called "Ground Lift". In measurement and control technology it is called "galvanic isolation". 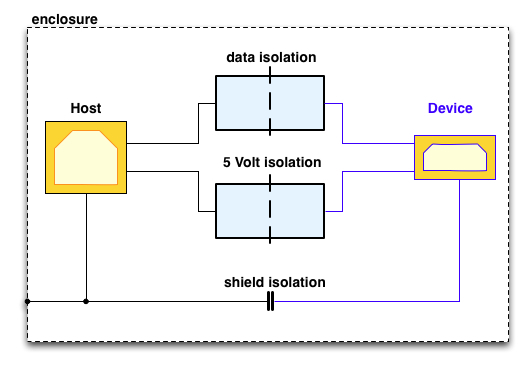 The isolation prevents cross currents and mutual influence of the devices. The most common cause of noise and inaccurate measurements is thus eliminated. The CESYS USB Isolator behaves almost like a USB cable. There is no need to install drivers and it supports all operating systems (Mac, Windows, Linux, embedded OS, and others). Changes serve the interests of technical progress. 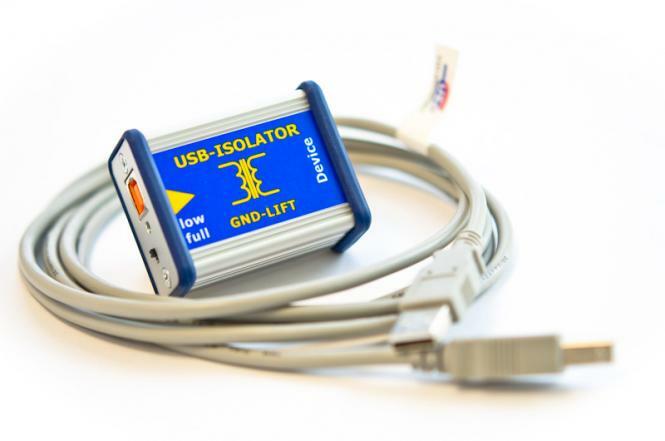 The USB ISOLATOR is not designed to protect against contact with dangerous voltages. The USB ISOLATOR is not approved for medical applications. More information from the manufacturer.